Enjoy a wonderful vacation at our authentic Spanish home. 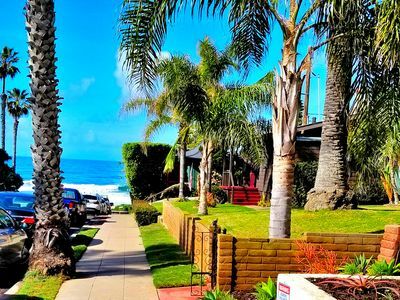 Your 4 bedroom 3 bath casa with parking is located just two houses (a 30 second walk to the west) from the sand at the world famous La Jolla Windansea Beach. Savor the salty air and see incredible sunsets, including an occasional Green Flash when the horizon is a clear crisp line. Land's end here, where the Pacific kisses the California coast is hard to top. Built in 1926 (and tastefully remodeled in 2012), your hacienda can also be configured as a 3 bedroom 2 bath residence for a reduced rate. We have many beach toys for you, surf/body boards, beach chairs, a BBQ, old-fashioned floor heaters (the best! ), air-conditioners, and a new laundry. We have a pack 'n play, toys, and high chair/booster seat combination. Relax in the private patio or spend the evening in the cozy living room with tall coved ceilings and a wood-burning fireplace. The centrally located dining room can be the focus for a family vacation or serve as a quiet dining experience for adult vacationers. It’s easy and fun to prepare a delicious meal using the modern appliances in your charming kitchen with a gas range. 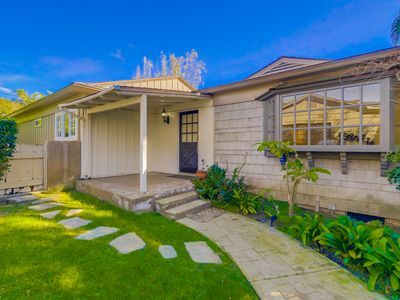 Other key features include 2 off street parking spaces and, upon request, a garage. 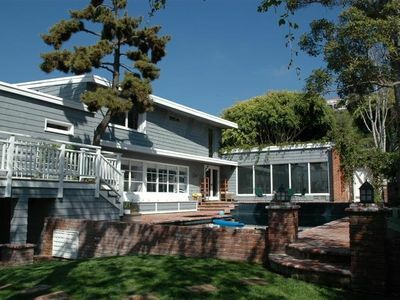 A two minute walk east in our quiet and safe neighborhood brings you to several charming eateries. We strive to provide upscale accommodations and service. 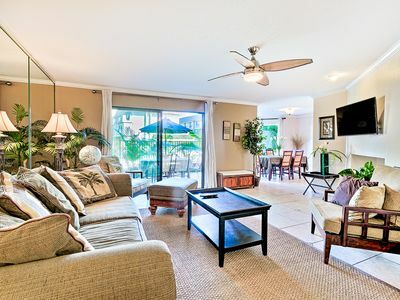 Our family considers it an ultimate compliment when valued guests return. 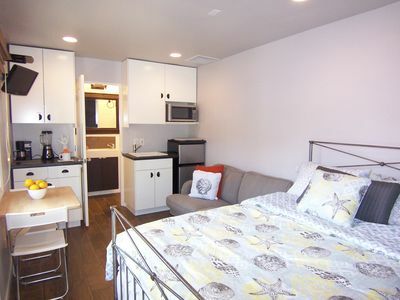 So come, be our guest in the beautiful Windansea community, play in the sand and waves, and then let the surf lull you to sleep. Your comfort is our business. And we take it seriously! LIKE TO VACATION WITH ANOTHER FAMILY? 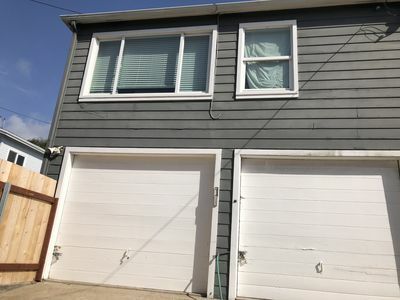 Consider adding our delightful adjacent residence for a total of 6 bedrooms, 4 baths, 2 kitchens, and 5 parking spaces, subject to availability. 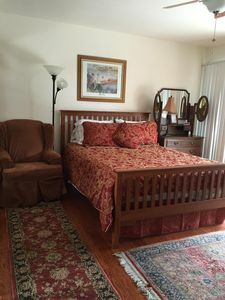 See https://www.vrbo.com/483743 for a description and reviews. Village of La Jolla: 1 mi. 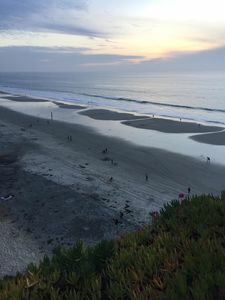 La Jolla Cove 1.5 mi. Mt. Soledad Veterans Memorial: 2.4 mi. 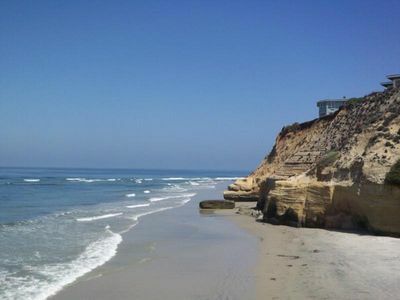 La Jolla Shores: 3 mi. 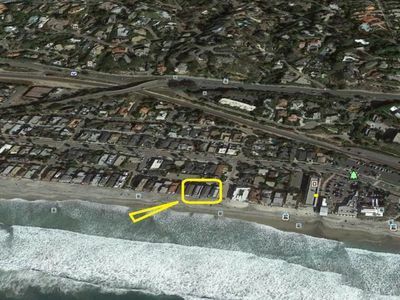 Belmont Park / The Wave House: 4.9 mi. SeaWorld San Diego: 6.5 mi. 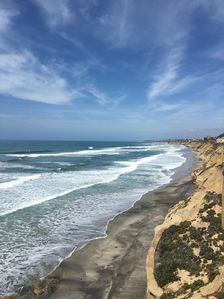 Torrey Pines State Reserve: 8.9 mi. Old Town San Diego: 10.9 mi. San Diego Zoo: 14 mi. Downtown San Diego / Gaslamp: 14 mi. San Diego International Airport: 14.9 mi. Legoland San Diego: 26.4 mi. 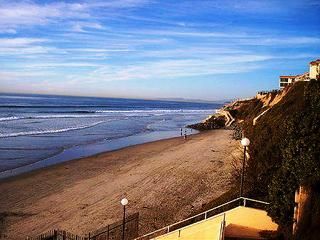 AWESOME OCEAN VIEWS, 2bd/2ba, private location, steps to the sand! 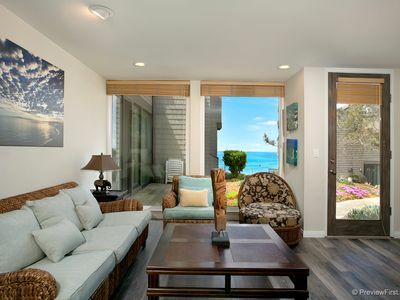 La Jolla Village w/ Private Pool & Spa. 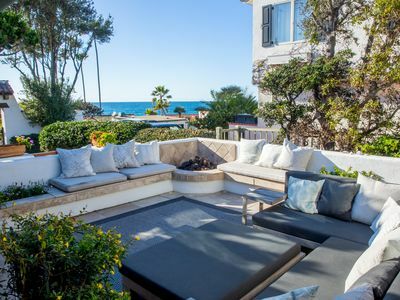 Beautiful ocean sunsets, located steps to the beach! 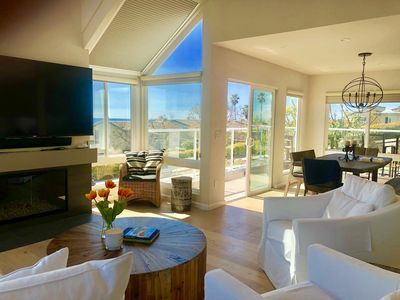 Solana Vista Beach Home- Great Views & Fantastic Location! 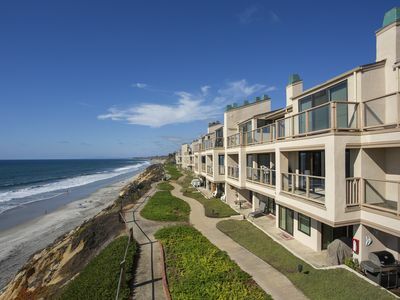 Oceanfront Complex -Walk to Del Mar Race Track! 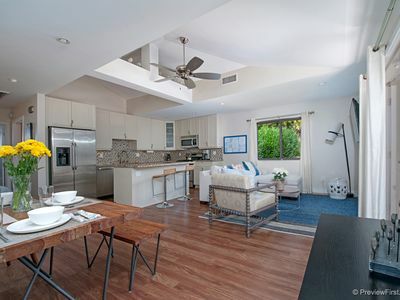 Cedros Design District Solana Beach House! 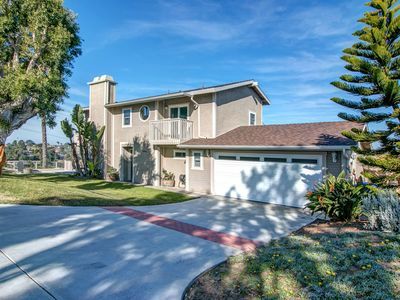 Panoramic Ocean Views & Best Location for Solana Beach! 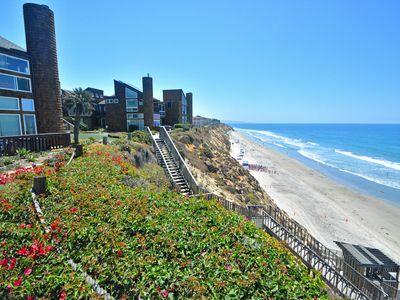 Solana Beach Condo- Private Community Stairs to the Beach! 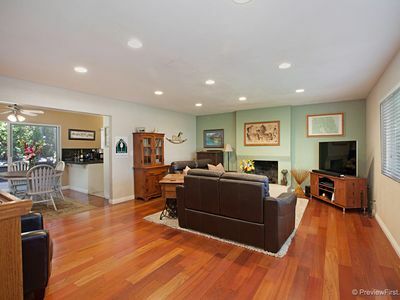 Delightful guest house on private equestrian estate .